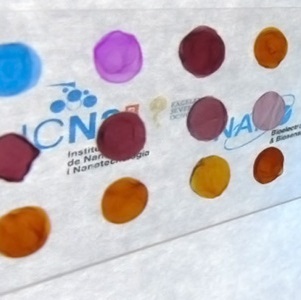 ICN2 researchers are going a step further in the development of simple, low cost and easy to produce biosensors. In an article published in ACS Nano they recently reported various innovative nanopaper-based optical sensing platforms. To achieve this endeavour the corresponding author ICREA Prof Arben Merkoçi, Group Leader at ICN2 and the first author, Dr Eden Morales-Narváez (from ICN2) and Hamed Golmohammadi (visiting researcher at ICN2), established an international collaboration with the Shahid Chamran University (Iran), the Gorgan University of Agricultural Sciences and Natural Resources (Iran) and the Academy of Sciences of the Czech Republic.